What are This Year’s Investment Hotspots? The buy to let market remains strong, and investors continue to seek out the best deals in the prime locations. 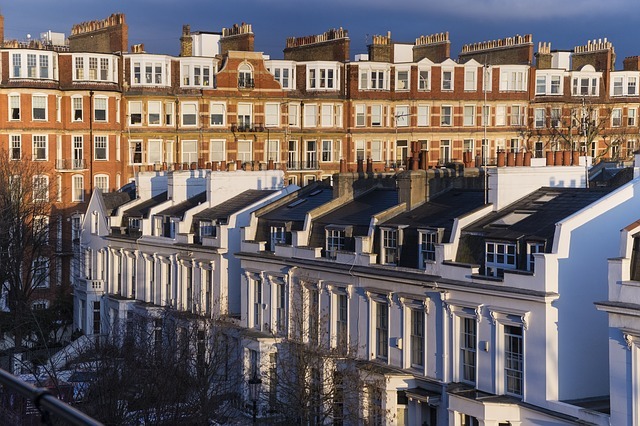 Property remains one of the strongest forms of investment in the UK, and despite the government’s various tax increases and legislative changes, the buy to let market is as popular as ever, with the number of investors hitting a record high of 2.5 million. When buying a property as an investment, sentiment and personal taste need to be left out of the decision process. It all comes down to what sort of property will bring in the best return and, even more importantly, where. Locations within the M25 have always represented sure fire appreciation, but some are even stronger than others. Here, we explore some of the hottest investment hotspots on the periphery of the capital. Located in the London Borough of Havering, Romford is a well-known market town with one foot in London and one in Essex. Any Romford estate agent will tell you that in many ways, Romford has the best of all worlds. The town has its own identity and a great range of shops and services, including a market with a history going back almost 800 years. Yet the commute into Central London takes just 20 minutes, and will be even quicker on completion of the Crossrail project. Add low crime, high employment and steeply rising property prices into the mix and you can see why property investment in Romford and the surrounding suburbs has never been higher. South of the river, Croydon is a town that is going places. Recent years have seen a period of reinvention, regeneration and investment. Boxpark Croydon recently opened to universal acclaim, and the announcement that a new Westfield shopping centre will open here within the next two years will also serve to boost the local economy and the area’s popularity. At present, Croydon is still something of a “work in progress” and as such, it represents a great investment location compared to its more expensive neighbours. Woolwich has always enjoyed popularity as a residential suburb with a character all of its own, but the completion of the new Elizabeth Line will increase its appeal among commuters. This is an area that is ready for changing times. The new Royal Arsenal Riverside development is bringing 5,000 new homes to the area, as well as a range of shops and a large hotel. Beresford Square in the centre of Woolwich and the area close to Woolwich Arsenal station are also undergoing investment projects to sharpen them up and bring them into the 21st century. Back to north east London, and Barking offers some of the lowest prices in all of Greater London. This is possibly due to the fact that this is one of the last locations in the area that many still associate with the “bad old days” of East End poverty and crime. In fact, the London Borough of Barking and Dagenham has seen reductions in crime rates along with its neighbours. Rental yields are extremely strong, and there are those who predict Barking will be the next area to receive significant investment. It could just be a popularity explosion waiting to happen.